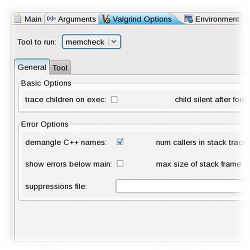 The Linux Tools Project Valgrind plugin aims to provide simple and effective profiling for the C/C++ Development Tools. 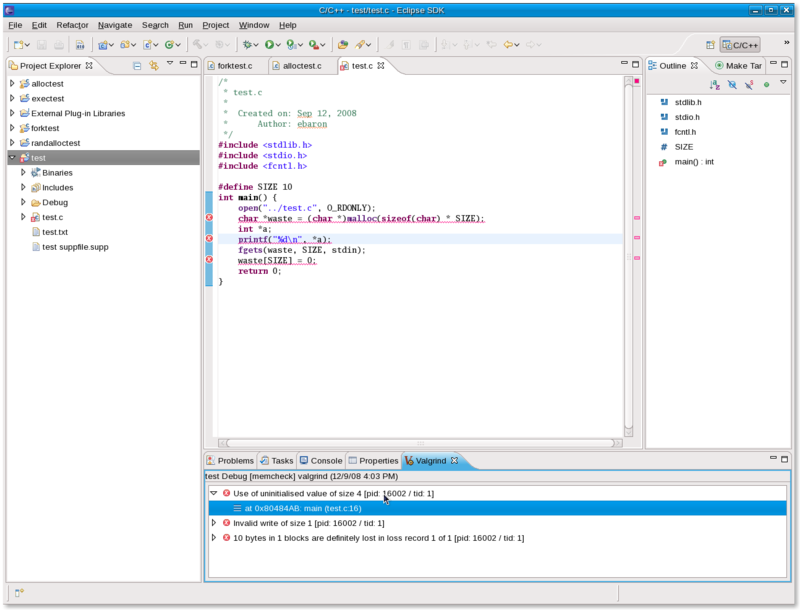 There is an abundance of Valgrind functionality to expose in Eclipse. 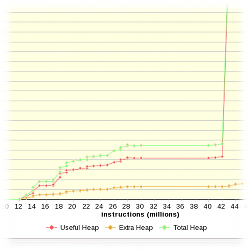 Valgrind itself is very component based and this relates well to Eclipse plugins. 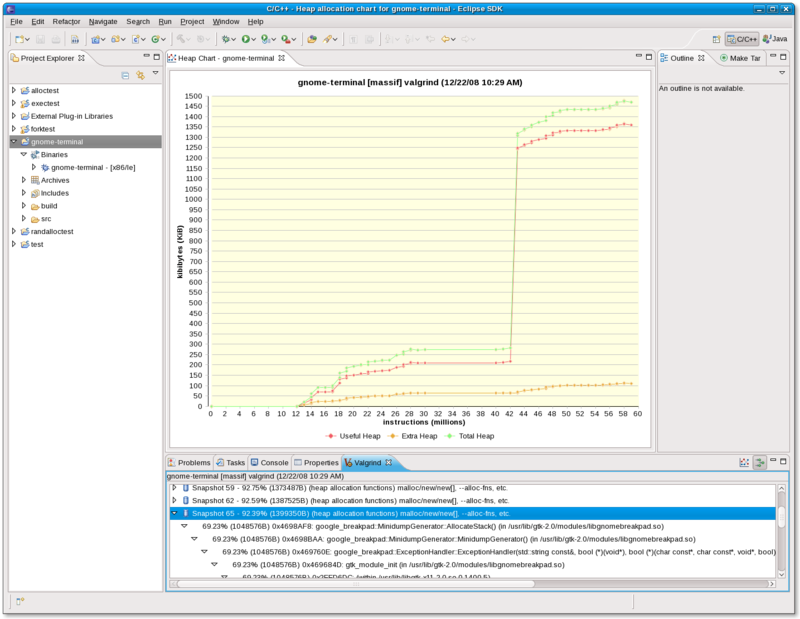 The main architectural goal is to have a common Valgrind user interface and underlying launch framework, while the Valgrind tools themselves are contributed via extension points. As with most tools in this project, the aim is to provide not just a user interface for the underlying tool. Instead, this project will attempt to exploit every opportunity to integrate into the Eclipse workbench to provide a unique and formidable user experience. 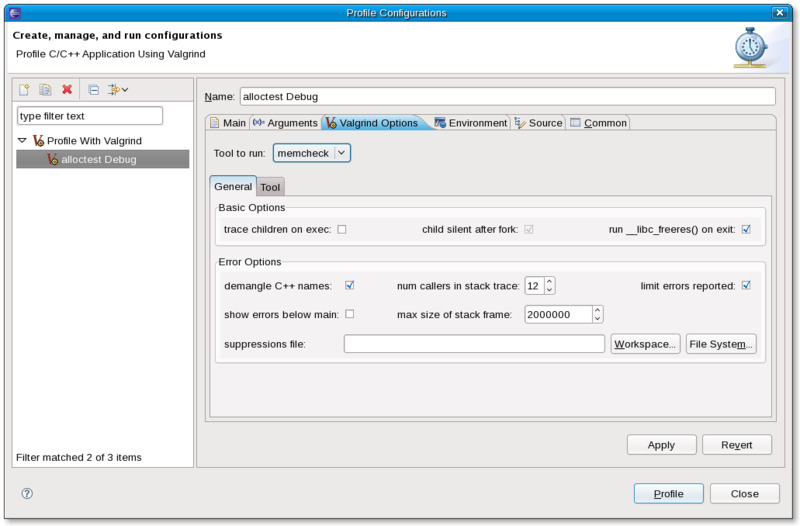 Each tool has the ability to contribute its own set of options to the Launch Configuration Dialog via the valgrindTools extension point and providing an implementation of the IValgrindToolPage interface. The controls created inside of the implementing class are nested into a tool specific tab in the Dialog. An extender must also implement the IValgrindLaunchDelegate interface. This will control the lifecycle of the contributed tool and will receive control to parse the output of the underlying Valgrind process once the main delegate is finished. There is a single Valgrind View, which by itself contains no output. Each tool provides its own appropriate way of displaying its output and, similar to the Launch Configuration Dialog, can embed its contributed controls into the View. This is done via the valgrindToolViews extension point and implementing the IValgrindToolView interface.